This is a podcast for people who build coworking communities. 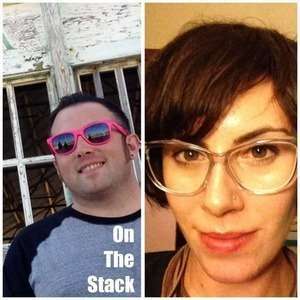 EP7 - Fractals, Adulthood, Trust (and Tentacles): The Stack is Back w/Vanessa Gennarelli! If you're joining us for the first time, this is a show where you get to be a fly on the wall for a very candid conversation between people with lots of different community building expertise - ranging from community management in a coworking space to building massive online learning communities. My goal is to help you learn how my guests and I connect the dots, solve problems, and understand the communities around us. We're kicking off the first show of the year with the return of The Stack, a style of episode we debuted back in episode 3. That also means that today I’m joined again by learning community researcher, Indy Hall member, and dear friend Vanessa Gennarelli. Like we did in the last episode of The Stack, Vanessa and I navigate our way through a “stack” of three topics that we’ve chosen ahead of time….but that aren't related in any obvious way. And of course since this is the coworking weekly show, we tie those topics back to practical examples in coworking and community building. As always, we find ourselves in some unexpected places. This week, that includes fractals, tentacles, and the Philadelphia Mummers. Yep. Let's get to the stack. p.s. Vanessa included this note along with the links she sent along for the show notes below, and I thought it'd be worth including here: "Maybe it's not narcissism that I check as I get older, but understanding my own inability to forecast how things will change..."
To build a strong community, stop “community managing”, be a Tummler instead. Kruger, J., & Dunning, D. (1999). Unskilled and unaware of it: how difficulties in recognizing one's own incompetence lead to inflated self-assessments. Journal of personality and social psychology, 77(6), 1121. Stanford DSchool "I Like I Wish What If"
Dan Gilbert "You are always changing" TED talk "...probably has to do with the ease of remembering versus the difficulty of imagining." Subscribe to CoworkingWeekly emails to get future episodes first (and more from behind the scenes) in your inbox.